The thing about technology is that it is outdated even before you acquire it. Consequently, any commentary you indulge in thereafter is a retrospection of something you are yet to acquaint yourself with properly. In short, no matter what you think of this device, there’s already a new one on its way. That said, I did get my hands on the Moto 360, the only round-shaped smart watch on the market. How couldn’t I? It was different, it was a gadget, and boys constantly need new toys. The watch definitely looks the part: it is sleek, bold, chunky yet curvaceous. And in spite of this, it looks like a perfectly normal, everyday watch; everything about the watch is designed so that you don’t appear to be walking around with a death-ray strapped to your fore-arm. The round, black bezel marries almost seamlessly with the black dial (when it is off) and you seem to be walking about with the deep and void equivalent of a black hole on your wrist. This watch, sir, is black! There is a choice of straps – leather and metal – and more choices will be added soon. The strap wasn’t Nappa, but still pretty rugged and reliable. The crown button, placed as it would be on a mechanical watch, switches the device on and puts it to sleep. And then comes the best bit: you turn it over and there are no niches, no cracks – no unsightly orifice where a charging socket may be inserted. This one feature probably makes it a winner already; the watch charges wirelessly, and fast. Also, when in the cradle, it turns into a nifty desktop clock. Setup is easy; you need a few basic apps to configure the phone to work with your Android smartphone. It works fine with most devices, but it is best with a Motorola handset, where the functions are significantly more detailed. For example, I can wake my Motorola phone up through a simple voice command, but other brands may not have this feature compatibility. That said, the bigger compatibility issues I faced were not phone-related but apps -related. Most apps currently on the Google Play store are designed for rectangular displays and thus do not work correctly on the round-shaped Moto 360. A calculator, certain designer watch faces, remote camera click – all these are somewhat compromised in their usability here. That said, with the rising popularity of the watch, more and more apps are incorporating its shape into their code. Then there is the issue of the Home/Back button. At times, you click three or four levels into a menu and wish to come back to the watch screen, and the only way to do that, it seems, is by putting it on standby and then switching it back on again. The watch is primarily gesture-based. so swiping in different directions achieves different results but even then, at points I was stuck and didn’t know how to get back to the main screen. The watch has a host of fitness features, such as a pedometer and an optical heart rate monitor and while the latter was pretty accurate, I had reason to doubt the veracity of the pedometer function. I usually wear another activity monitor and the 360 returned not only very different figures, but also somewhat incongruent ones. Checking emails and messages has never been easier, and the device is excellent for a quick glimpse on the go. The directions tool is superbly handy (literally!) and Google integration provides one with useful cards (traffic, weather and so on) even when on the move. The battery manages to survive a day with moderate usage, but if you up the apps and widgets, turn on the watch screen to display constantly, or make the display extremely bright, then you may be out of juice before the end of the day. The voice recognition is still clunky, and this is one area that can be improved by providing an eventual software upgrade. Trying to record a phone number or send a message (never mind emails) was tedious and, when tried in public places, embarrassing; people kept wondering why I was talking to my watch with such enunciated vehemence. And yet, in spite of all this, I absolutely adore it. The Moto 360 is still a great gadget to sport – a novelty mostly, but also with some functionality. For the price, there is nothing out there with such a mix, and even with the competition launching a much-awaited one early next year, I don’t think the Moto360 has anything to be scared of. A way to swipe back to the time screen without having to switch the screen off and on. A sleep monitor with a wake up alarm, triggered to go off during non-REM sleep. Also a sharper activity monitor. 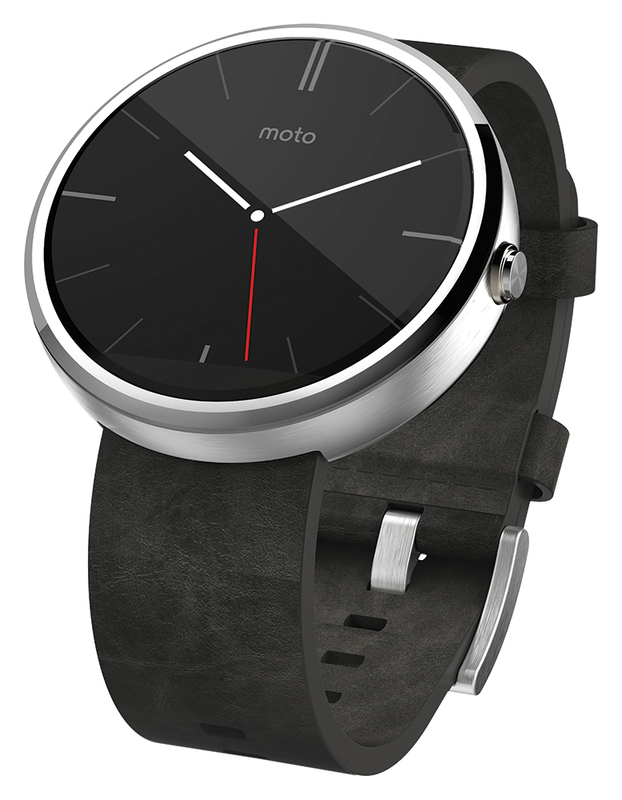 A comprehensive list of apps specifically designed for the round face of the Moto 360. More widget compatibility and cross-platform functionality for other Android phones.